The Eyes turns toward several prospects in an end of year bonanza. The Eyes turn toward several Southern League prospects, including Reds RHP prospect Tony Santillan and Marlins OF prospects Monte Harrison and Brian Miller. The Eyes turns toward a pair of pitchers: Marlins prospect RHP Nick Neidert & Twins prospect RHP Jorge Alcala. The Eyes turn toward Triple-A. 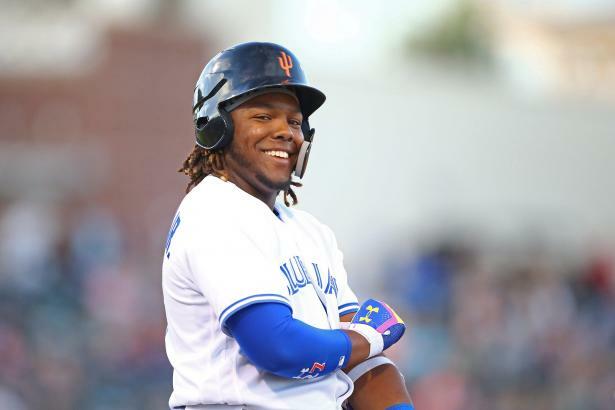 A look at Vladimir Guerrero Jr., Dwight Smith Jr., Anthony Alford, and Michael Reed. The eyes turn this week to two rookie-league Yankees pitching prospects, Luis Gil and Luis Medina, as they vie to climb the minor-league ladder. The Eyes turn toward Orioles prospects LHP DL Hall, SS Cadyn Grenier, and 3B Jean Carlos Encarnacion. The Eyes turn toward Cristian Pache and Drew Waters. The Eyes this week turn to two players, Daniel Lynch and Bobby Dalbec, who recently earned promotions, as well as short hits on two White Sox prospects.